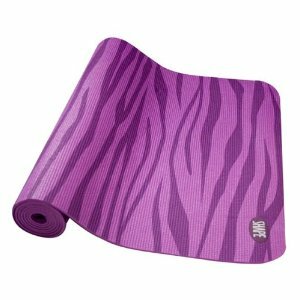 Work out in style with this fun SHAPE zebra print mat. The non-slip surface is great for yoga, Pilates or other exercise. Rolls up easily and includes a carry strap for convenient transport to the gym or anywhere else you want to work out! Size: 68 inches x 24 inches x 5 mm thick.